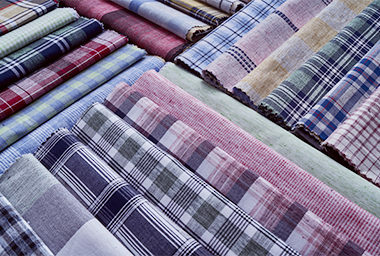 Equipped with high liable design team KFL has large in house fabric manufacturing infrastructure at Umbergoan near Mumbai. Spread across multiple location, skilled manpower and supported by cutting edge. 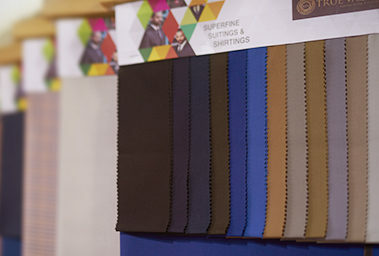 The ready-to-wear True Value Suitings and Shirtings have a “high-demand” tag in Indian market and have more thousand retail distributors across India. 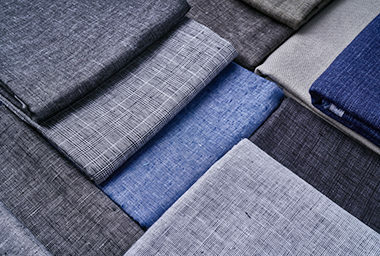 Our range of 100% True Linen fabrics have gained immense popularity in Indian market owing to its delicate super-absorbent texture and its royal appearance. 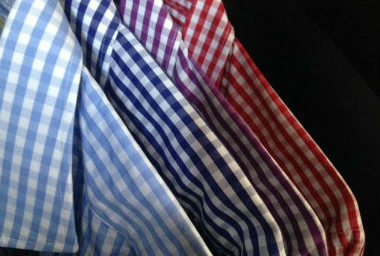 We offer wide range of premium quality readymade shirts at an affordable price. 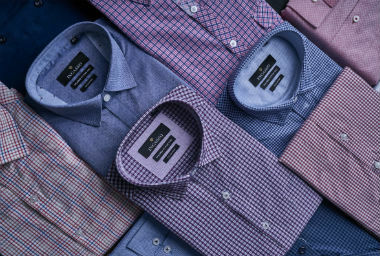 Our shirts are stitched with great care for best fit. 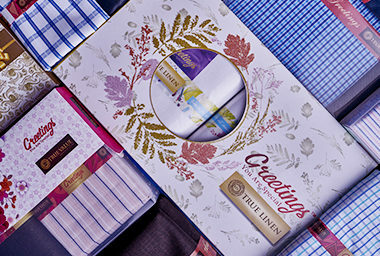 Create magic and warmth in your relationship to surprise your love ones with unique fabric greetings. We offer wide range of greetings to choose from and gift your family and friends. The Qube, B/104,M.V Road, Marol, Andheri(E), Mumbai-59. 42/1 & 43/2, Gangadevi Road, Umbergaon-396171, Gujarat. Plot No. J-72, MIDC, Tarapur, Boisar, Dist. Thane-401 506.